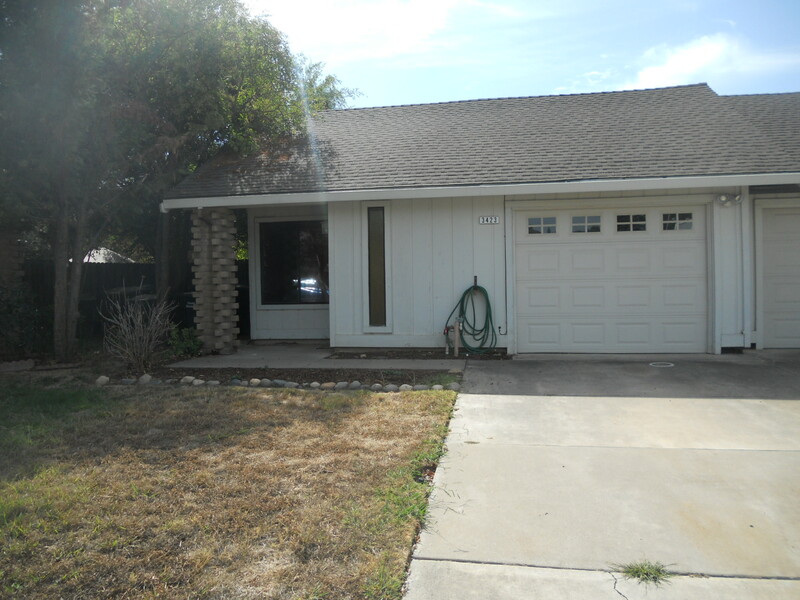 Spacious half-plex in the heart of Carmichael, 2 bedrooms and 2full bathrooms. This home is located on Farid Court, with the nearest cross streets being Whitney Ave & Walnut Ave. This home has a nice open floor plan , as you walk in the front door you are greeted by the spacious family room with fireplace. The kitchen opens up to the dinning area. The kitchen has plenty of storage space, oven with range top and refrigerator. There is a large sliding glass door off of the dinning room that takes you out to the huge backyard. There is a large deck on the side yard with plenty of room of an outdoor table and chairs for entertaining family and friends. Tons of rooms in the backyard for the kids or dogs to runaround. Two spacious bedrooms with 2 full bathrooms.